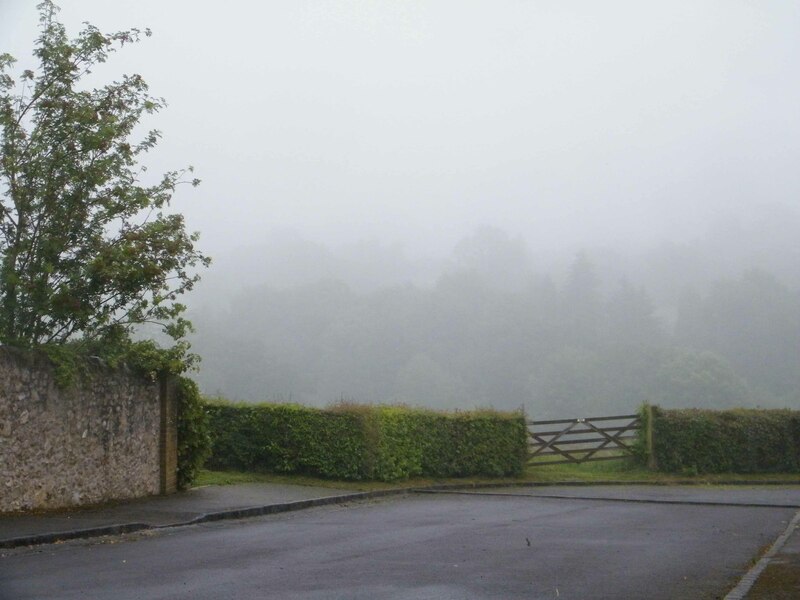 As I sat in the warmth and comfort of my modern insulated home and looked across the valley opposite, I suddenly realised I couldn’t actually see the hills or the trees, because a heavy mist had surreptitiously crept in under cover of the heavy drizzle that had been falling for most of the day. It was a summer drizzle, so it seemed all the heavier and thicker as it soaked into the leaves and the abundance of summer foliage; everything seemed bloated and fat with the damp warmth. So as I sat looking out, I imagined a huge ghostly galleon emerging from an invisible sea, its crew long lost and the once billowing sails now just shabby bits of rag dangling from the splintered masts between which were straggly frayed pieces of rope that had once been strongly woven rigging. Then I asked myself why was it that such a frightening unpleasant image came to mind? What was it that made me think of a pirate’s curse, death and misery? I straight away thought of films such as The Fog or Pirates of the Caribbean and other similar Hollywood or Pinewood Studio productions. Then this got me thinking; had I not seen these films, or any TV film for that matter, would I have still conjured up such gruesome images and what would it have been pre-TV that summoned evil spirits into our imagination? Of course there was the invention of the cinema prior to television, then before the flickering films on the big screen, there were live plays and performances to feed the public’s demand to be entertained with very life-like scenes of desire, death or destruction. In fact it has been this way for many centuries, Gilbert and Sulllivan in the 19th century and the 18th century Bronte sisters could spin a good yarn. Probably the most famous would be the great 17th century bard himself, William Shakespeare who really brought the house down. But these people had a very great advantage that the pre Middle Age story telling celebs did not – they could all read and write and in the same way that the 21st century TV and films use moving images and sounds to create an atmosphere of love, hate or whatever, all of the post-Gutenberg printing press playwrights, had the benefit of being able to write down their descriptive passages, correct them, play around with them, juggle and haggle with the words until they created the scene the writer wanted to portray. Not such an easy task you may say and indeed, it is not easy for all (as my 11 year old son will vouch for each time he is set an essay for homework!). But easy or not, they still had that wonderful form of communication aka the written word. It doesn’t seem possible that prior to Gutenberg’s mechanised printing press of the 1440’s that reading and writing was a privilege few people were even allowed to exercise; the ‘divine right of kings’ was something the minority had and they did not want to share this wisdom with anyone else. So how did the great story tellers manage to create images and conjure up mythical beasts and creatures that would savage the minds of the innocent and gullible audiences? Much of the story telling was done by poetry, poems being easier to learn and remember than prose and music also played an important role during any gathering of clans. The most well known was the tale of ‘Beowulf’ an Anglo Saxon hero and all the stories would have been passed on by word of mouth; very little was written down. The stories would probably have been embellished and added to as each story-teller performed and you have to admire the undoubtable ability that the story tellers would have had over a thousand years ago, when all they had was their voice to create an event, person or creature. Without the advantages of seeing different parts of their own country let alone foreign travel, the story-teller would have to use his or her imagination to invent a character that would represent the main focus of the story. Without picture books or posters, the creations were entirely ‘home made’ and they had to be made sufficiently interesting to inspire the audience and capture their imagination. It was with the progress of the Middle Ages and the desire to be educated that the minds of the great story tellers began to slack. It was no longer necessary to remember the amazing story they had heard weeks or even months before, there was no need to elaborate or grow the tale, the same old story could be printed on a sheet and so into a book, to be told in exactly the same way over and over again. Nothing new or different, just the same words spoken or read in the same order with exactly the same storyline. I was always told a story should have a beginning, a middle and an end, but it doesn’t have to have the same beginning, middle and end each time does it? I rue the day that Gutenberg discovered how to print and reprint, perhaps the divine right of kings had something after all and by allowing their clerics and students to learn how to read and write, it was the religious houses and other similar establishments that put the final nail in the coffin of the great English story-teller. I’m just off to watch yet another re-run of my favourite TV sit com, I know the story line inside out but it still makes me laugh every time! This entry was posted in Life's Like That and tagged Anglo-Saxon, Beowulf, book, Bronte, film, pirate, playwright, Shakespeare, story-teller. Bookmark the permalink.